HOUSTON - Who's ready for some free bobbleheads?!! 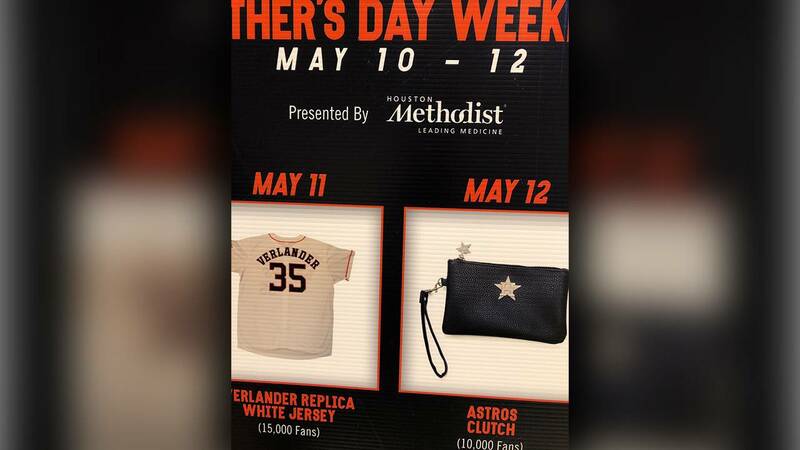 Your back-to-back division champion Houston Astros showed off the promotional giveaways for the 2019 season, including special items for Mother's Day weekend, Father's Day weekend and the opening weekend of the Astros Hall of Fame. 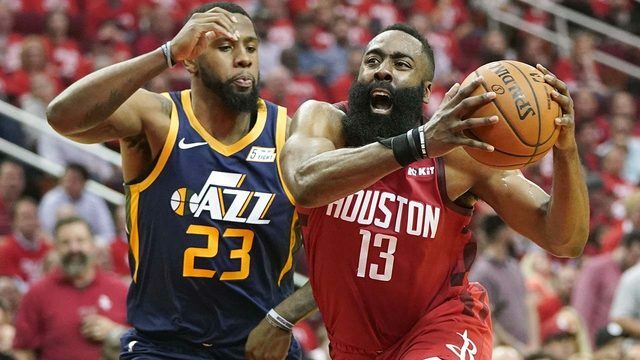 The team also unveiled its hashtag for the season -- #TakeItBack. April 22: George Springer orange replica jersey to the first 10,000 fans. 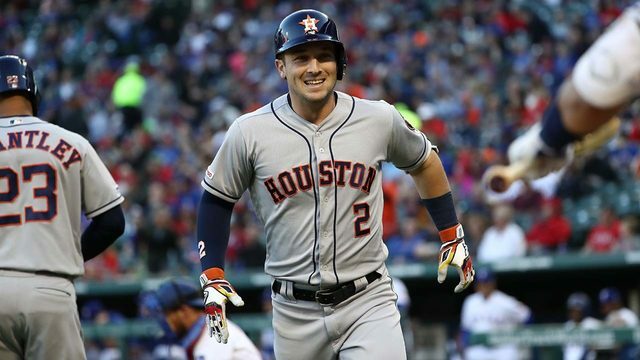 April 26: Alex Bregman 'stare' bobblehead to the first 10,000 fans. 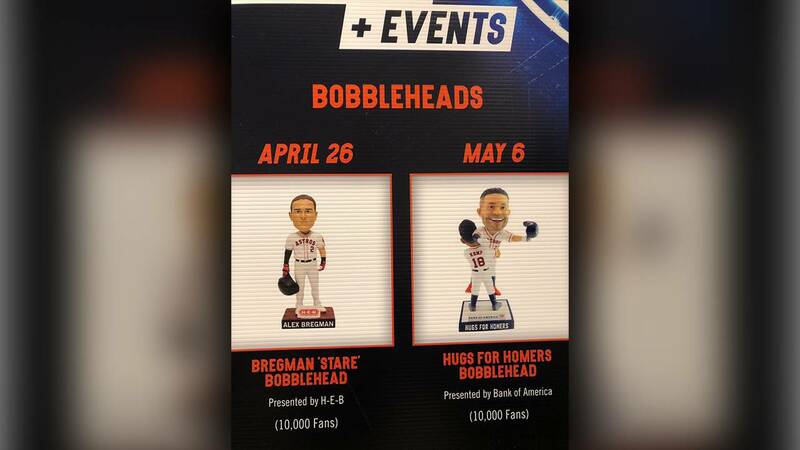 May 6: Hugs for Homers Jose Altuve and Tony Kemp bobblehead to the first 10,000 fans. May 11: Justin Verlander replica white jersey to the first 15,000 fans. 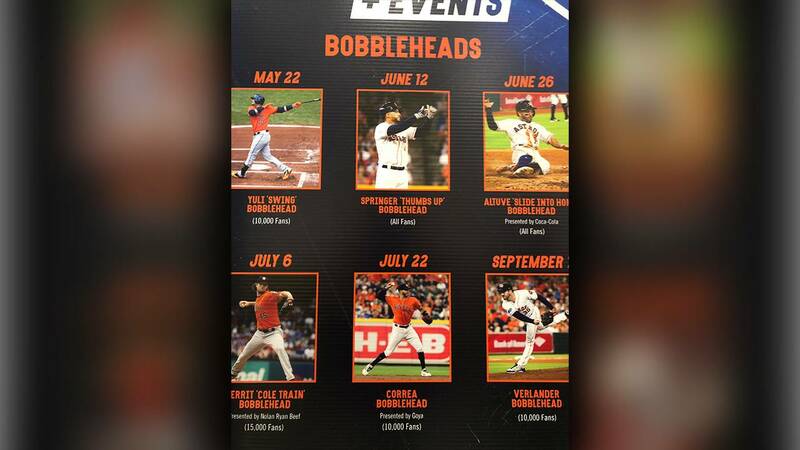 May 22: Yuli Gurriel 'swing' bobblehead to the first 10,000 fans. 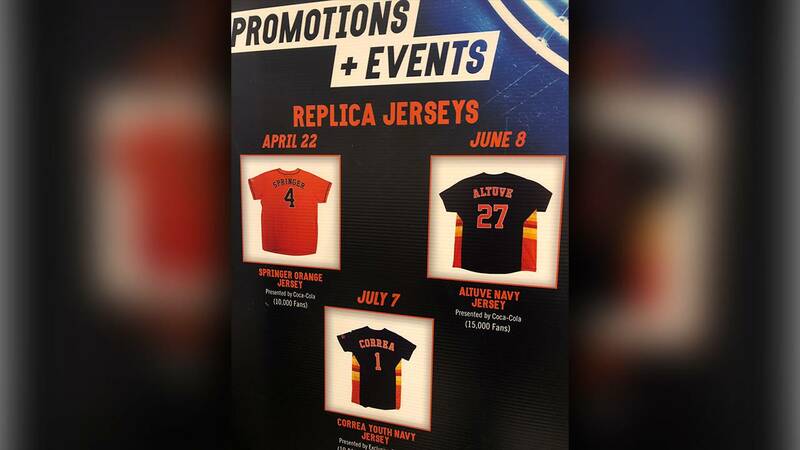 June 8: Jose Altuve replica navy batting practice jersey to first 15,000 fans. 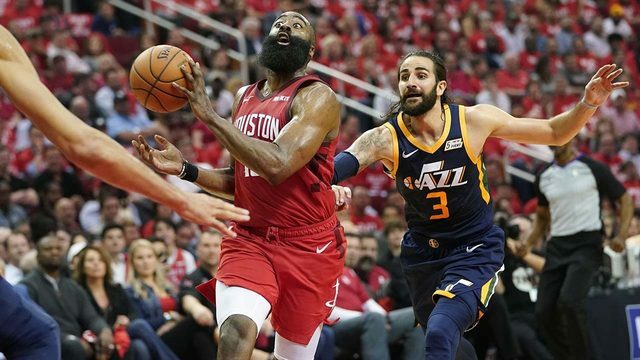 June 12: George Springer 'thumbs up' bobblehead to ALL FANS. June 15: Astros river hat to the first 10,000 fans. 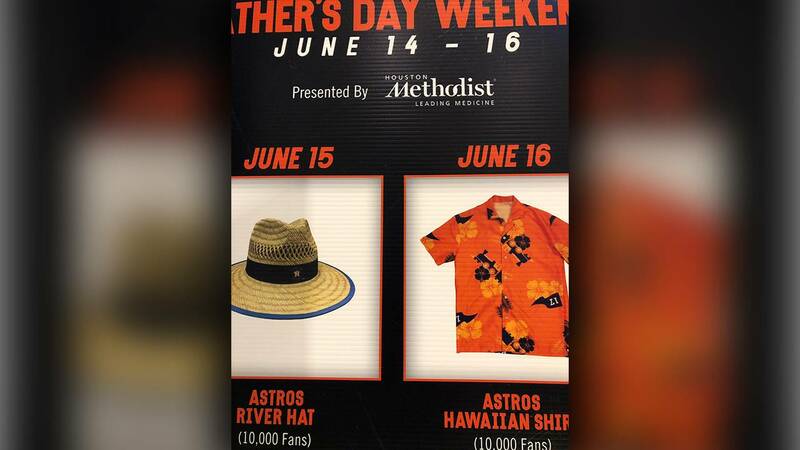 June 16: Astros Hawaiian shirt to first 10,000 fans. 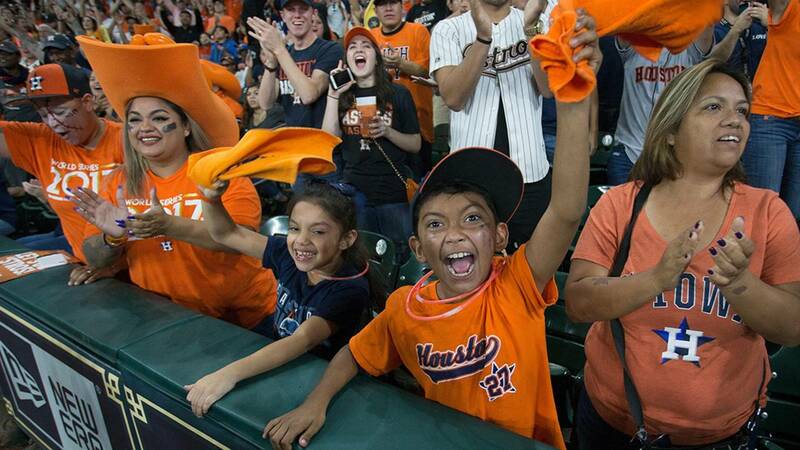 June 26: Jose Altuve 'slide into home' bobblehead to ALL FANS. July 6: Gerrit Cole 'train' bobblehead to first 15,000 fans. 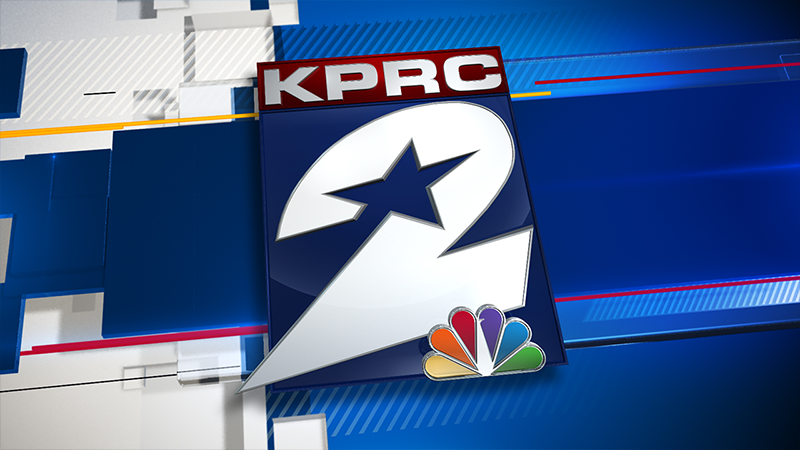 July 7: Carlos Correa YOUTH replica navy batting practice jersey to first 10,000 fans. July 22: Carlos Correa bobblehead to first 10,000 fans. 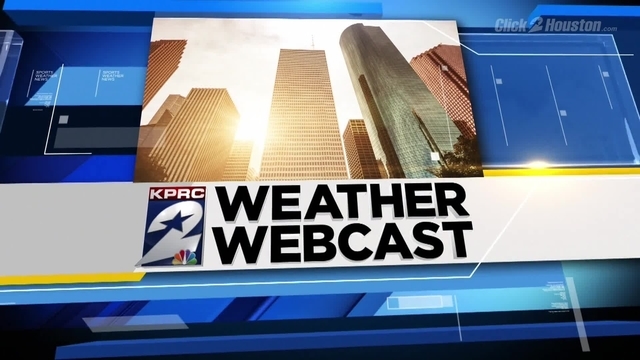 Aug. 2: Nolan Ryan replica rainbow shoulder jersey. Aug. 3: Replica Astros Hall of Fame plaque monument. Aug. 4: Replica Astros Hall of Fame jacket statue. Sept. 7: Justin Verlander bobblehead to first 10,000 fans.